Pet Murphy Beds Have Puppy Power! Why Pet Murphy beds? Because your four-legged, furry family member deserves the best too! 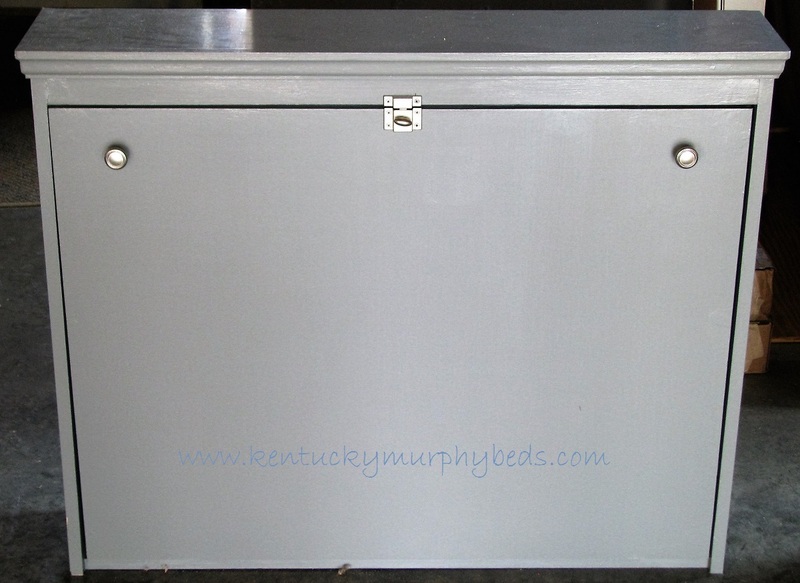 Murphy Beds of Central Kentucky is now offering custom-built wall-beds for them too! When not in use, these beds fold up and out of the way. When they are needed, they pull down with a comfy mattress. Some models even offer a hide-away section on top for treats, toys, pet bowls and leashes — to keep them handy, but out of sight. Feel free to take a “behind the scenes” tour of The Making of the Pet Murphy Bed. 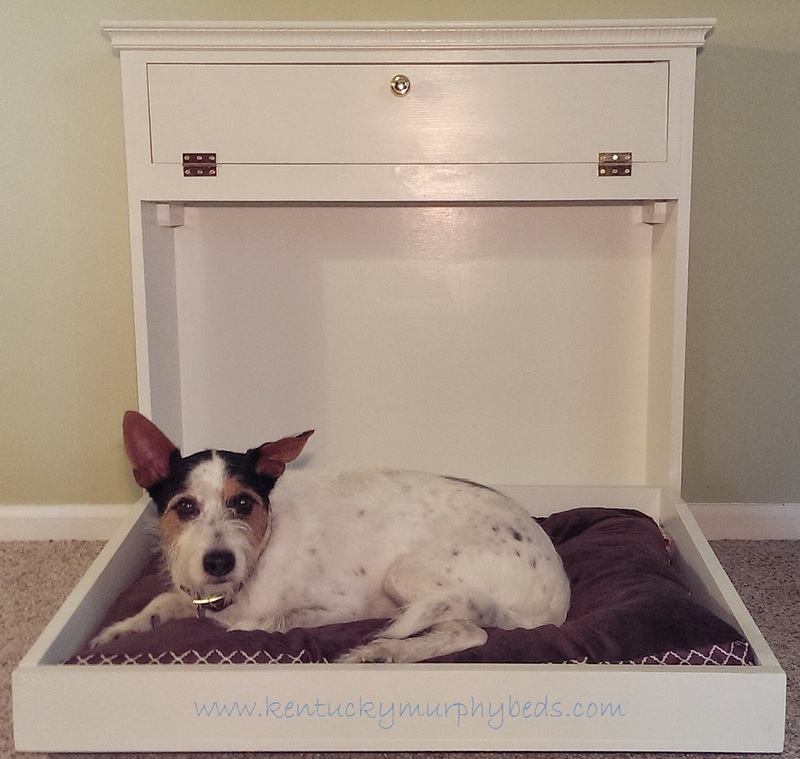 Our “people-sized” Murphy beds are made by Amish craftsmen and these “puppy -sized” ones are made by the owners of Murphy Beds of Central Kentucky, in Mercer County, Kentucky. All our beds and furnishings are proudly made in the USA! If you want a special gift for your fur-baby or your fur grand-baby) give us a call. We have some beds in stock and will take special orders. Call us at: 859-325-9875 today! 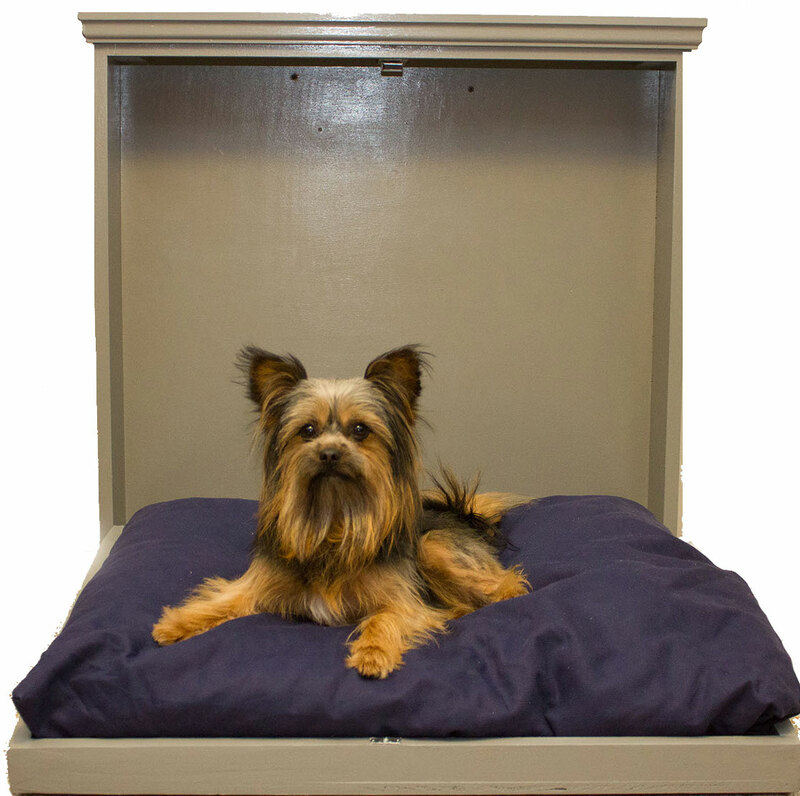 Each of our Pet Murphy Beds are made-to-order.